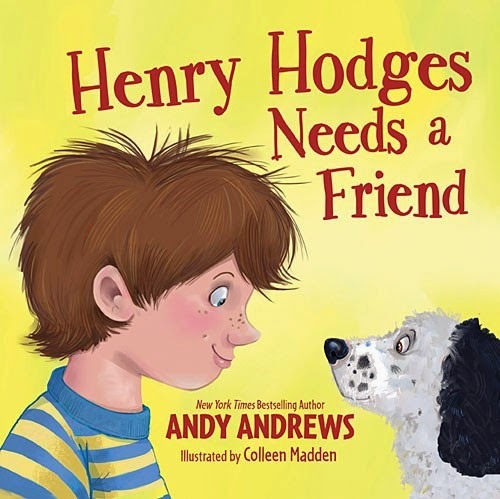 As in other Andy Andrews books, the bright colorful illustrations draw you in straight away. The story itself is simple however the rhyming lines add the extra element of delight for both the reader and listener. Some of the content reminded me of Dr Seuss style with the imaginary ridiculousness which no doubt will charm a child! It is the story of a lonely boy who needed a friend and his parents promised him just what he would need. Henry started to imagine what it would be or what kind of animal they might get for him. His parents took him to the animal shelter and there Henry fell in love with a dog that became his new friend and Henry's life changed from that point on and instead of being sad it was full of laughter and happiness. Please note Booklook sent me a copy of this book for review, however the opinions expressed are my own.